The University of Virginia School of Medicine, one of the first eight schools established within the University by Thomas Jefferson in 1819, offers our medical students an interactive, engaged learning experience centered around patient stories. Mr. Jefferson believed that a free-flowing exchange of ideas was best accomplished when faculty and students lived and learned side by side. The “Academical Village” reflects this philosophy, and it continues to be one of the tenets of our approach to medical education. The University of Virginia School of Medicine is unique because not only is it academically challenging, but it also fosters a lot of kindness and compassion. The people are some of the most welcoming and kind that you'll ever meet, and Charlottesville is a fantastic place to learn how to become a doctor. Through our integrated curriculum, in recognition that students learn best around patient stories while engaged in active learning, the medical school facilities support this curriculum. Start here to learn about the steps for applying. 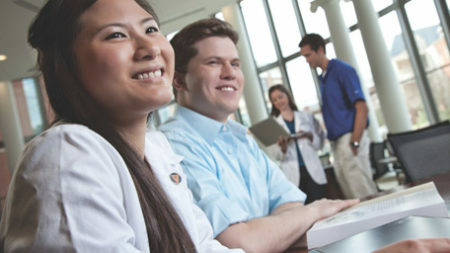 The University of Virginia School of Medicine’s admissions process uses a holistic review in order to select a talented and diverse student body.